Heritage Open Days celebrates England’s fantastic architecture and culture. Every year on four days in September, buildings of every age, style and function throw open their doors free of charge. It’s the perfect opportunity to embrace the region’s diverse heritage, discover hidden histories and explore unique architectural gems. Fabulous buildings are open to everyone, free of charge. They’re normally either closed to the public or charge for admission. 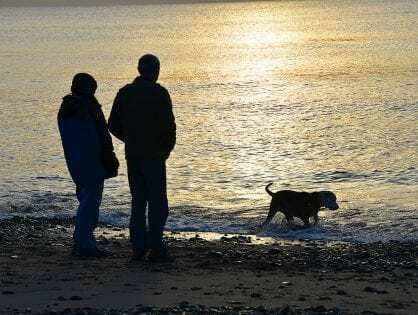 The knowledge of local guides brings them to life as they take you back through their past. 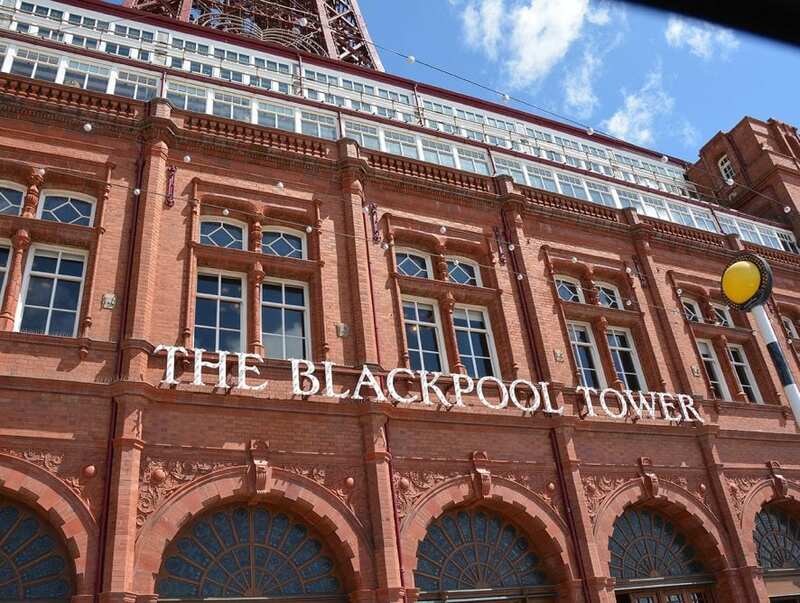 Anyone with an interest in Blackpool and its history is welcome to come along. It’s a great weekend for residents to get to know all about the town in which they live. This terrific programme is only made possible with the support of many organisations and individuals who give up their time to plan and deliver the events, many of who are volunteers. Thanks to all of them. It’s the once-a-year chance to discover hidden architectural treasures. 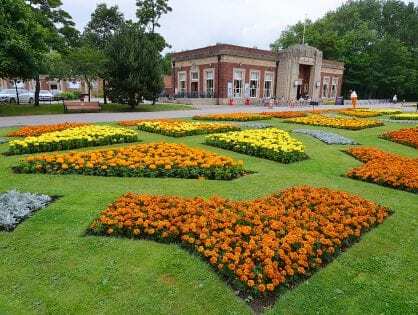 Enjoy a wide range of tours, events and activities which bring to life local history and culture. This year’s new look Heritage Open Days brochure is packed with even more interesting venues to visit and enjoy. 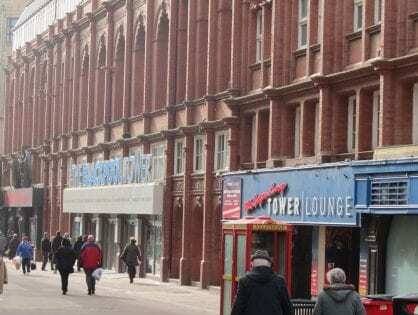 These include old favourites such as Blackpool Tower, Blackpool Masonic Hall and the Grand Theatre as well as new additions such as 1887 Brew Room, the Salvation Army and Blackpool Victoria Hospital. 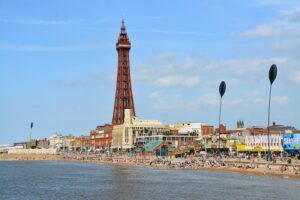 A series of entertaining and informative talks on Blackpool’s history will include topics such as the infamous Sideshows, Seaside Traditions and the Raikes Hall and Royal Palace Gardens. The centenary of World War I will also be commemorated with a walking tour on the history and future of Blackpool’s war memorials. 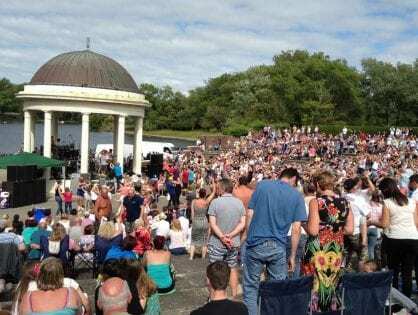 With over sixty events for people to enjoy, there is definitely something for everyone at this year’s Heritage Open Days. 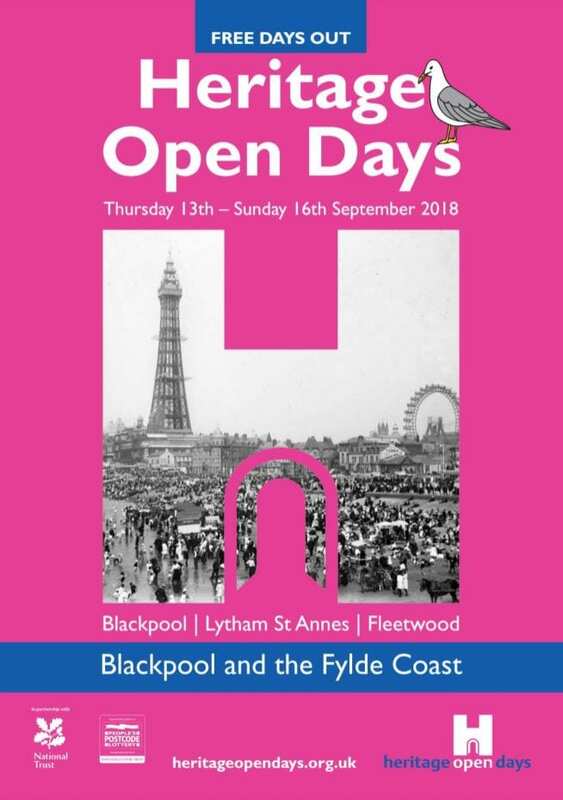 The organisers of the Blackpool and The Fylde Coast Heritage Open Days would like to acknowledge the support of English Heritage, the Councils, the property owners, their staff and volunteer groups – thank you! 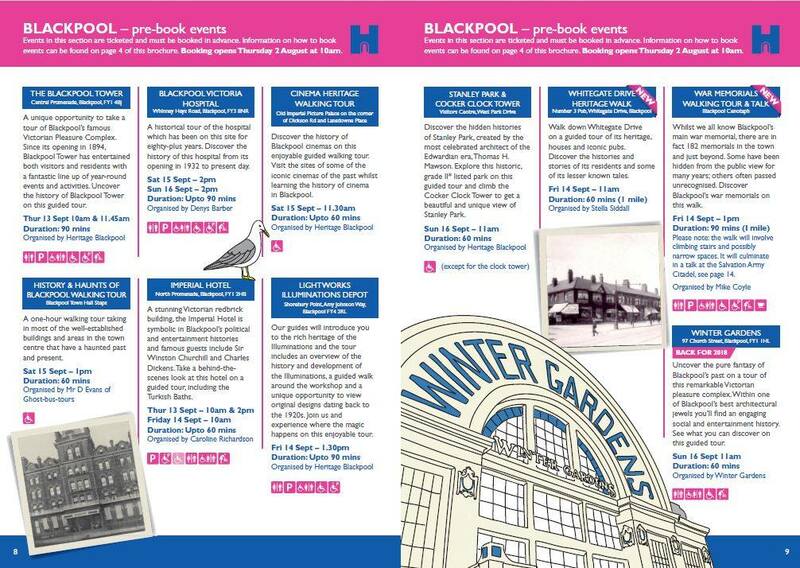 Many of the buildings and places participating in Blackpool Heritage Open Days run pop-in sessions. However, some of them offer pre-booked tours.  Or call 01253478090 – and please mention that you saw it on Visit Fylde Coast! 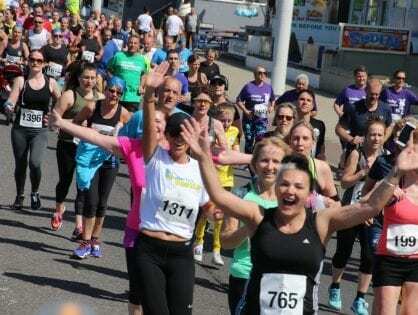 There are buildings all along the Fylde Coast which participate in this event each year. 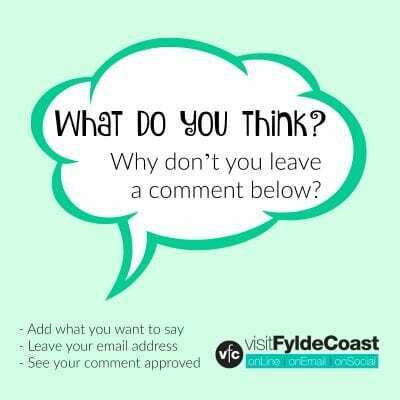 Take a look at Fylde Coast Heritage Open Days here. 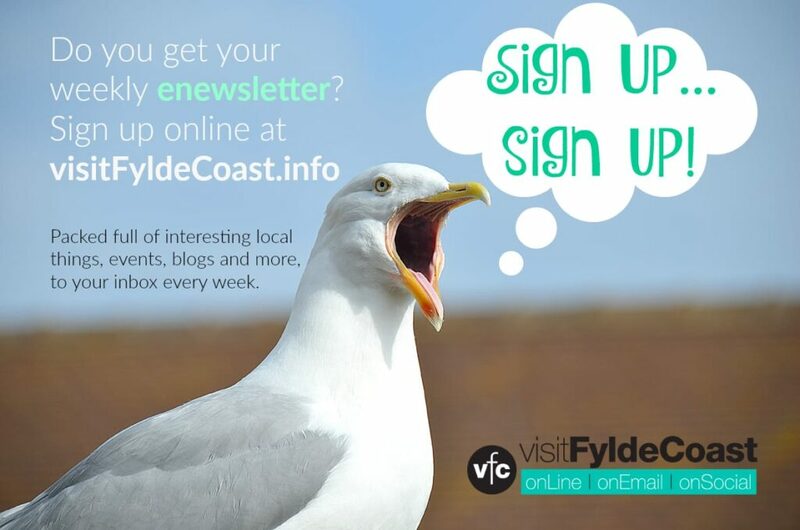 These events are not organised by Visit Fylde Coast – all details correct at time of publication. Please contact the organisers for further information.